FINISHED PROJECT. 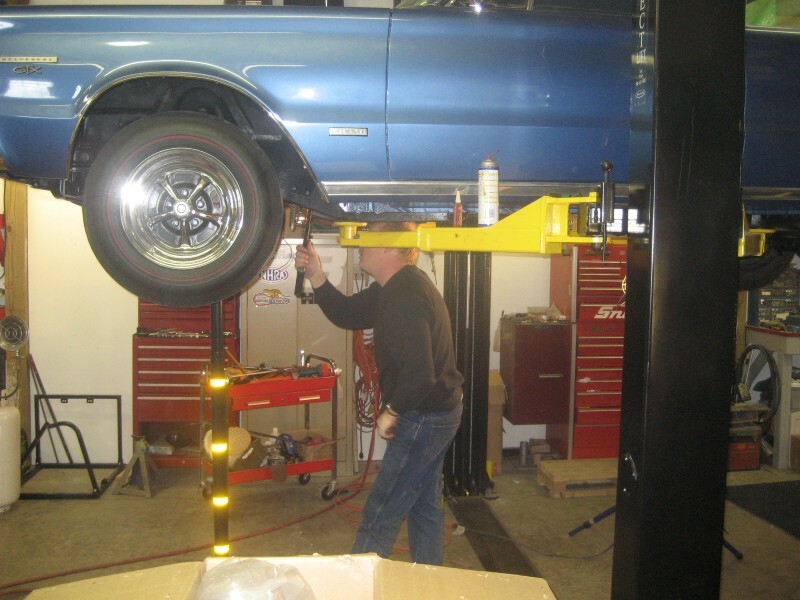 CLEAN UP AND TUNE HEMI ENGINE…INSTALL KEISLER ENGINEERING 5 SP TRANSMISSION KIT. 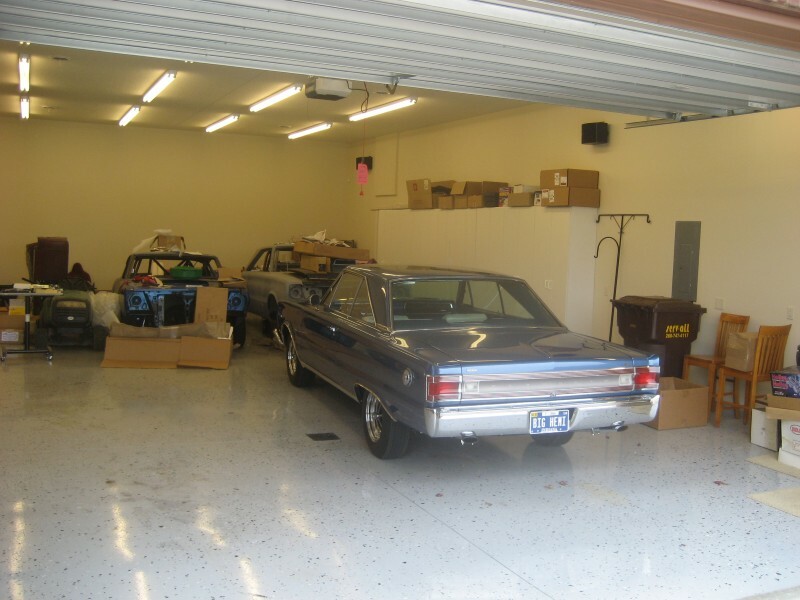 Let’s make an admission: we’re suckers for 1967 Plymouth GTX’s! 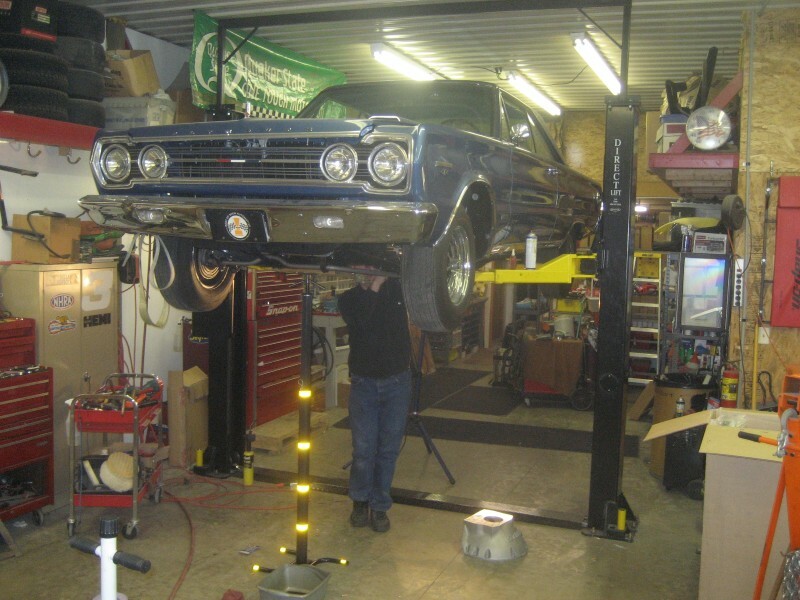 The 1967 Plymouth GTX was Joe’s first real muscle car and his all-time favorite. We’ve owned a bunch of them and we’re always on the lookout for outstanding examples. 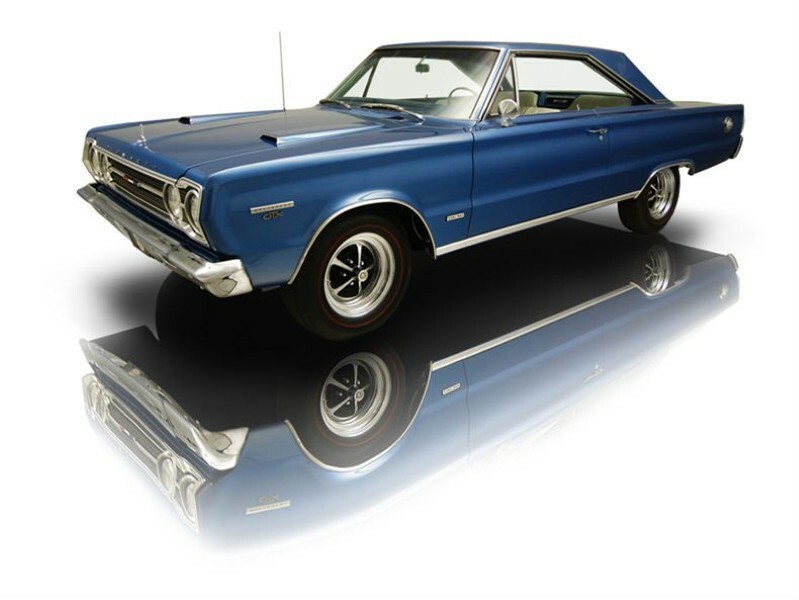 We’ve just completed the complete restoration of our real, original drivetrain 1967 Hemi GTX, so when we had the opportunity to purchase this outstanding, all original body panel X we couldn’t pass it up. 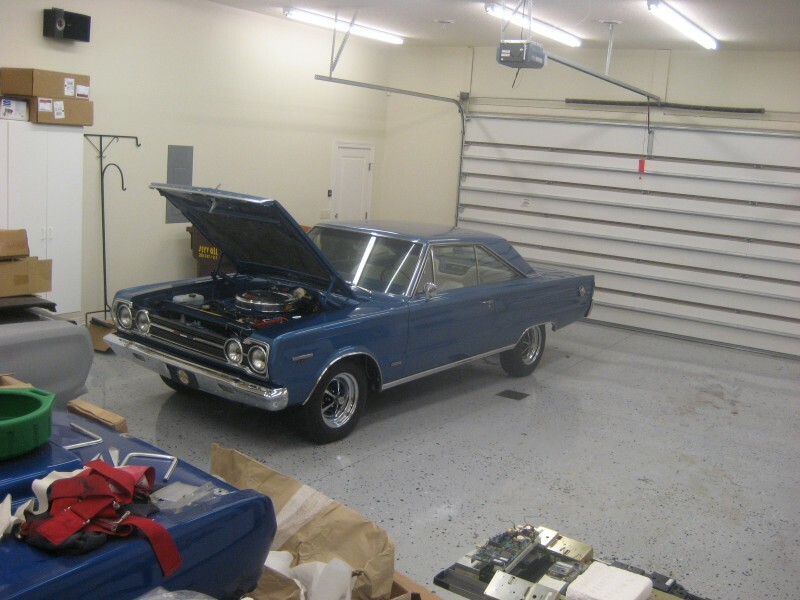 First, let’s set the record straight: This Western-bred 1967 Plymouth GTX started its life as a 440 car, not a Hemi. The original 440 is long gone, but let’s not feel sorry for this GTX…after all, it spent nearly its entire life in Nevada before being shipped to Arizona! 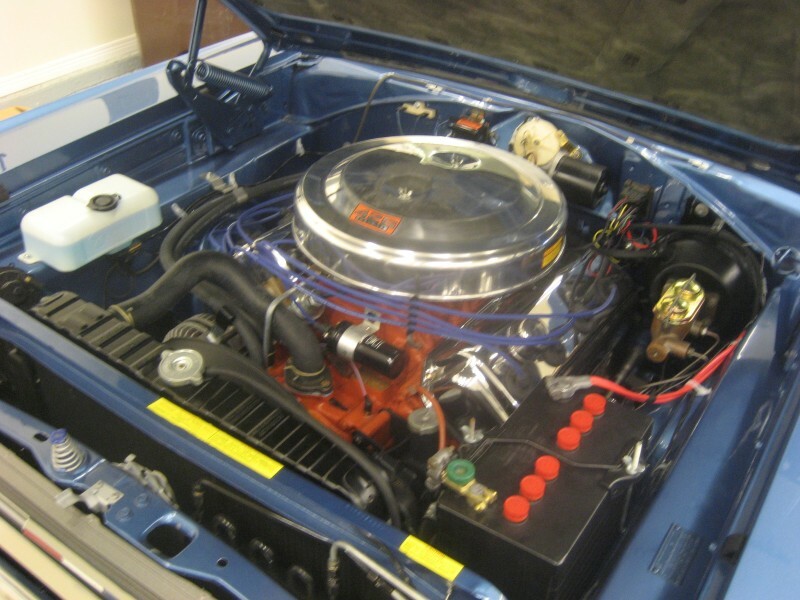 And, when the decision was made to restore this pristine, original GTX, and the original engine was gone…heck, why not put a Hemi in the thing? 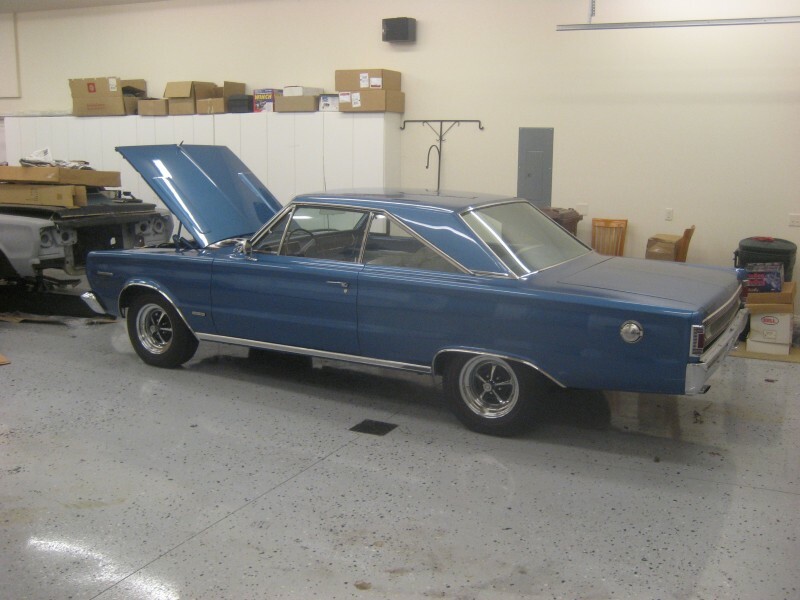 And since we’re putting a 426 Hemi in the car, why not restore it to appear exactly as a 1967 426 Hemi GTX would? Let’s start with the body. As stated prior, this GTX has been a Western car its entire life. 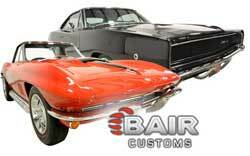 It retains all of its original body panels, including the quarter panels, trunk floor and floor pans. This GTX has no replacement panels and the body is beautiful! Every panel is perfectly straight with no waves, dents or dings of any kind. Repainted in the very rare and desirable (and correct) 881 Bright Blue Metallic the car practically glows. Every piece of stainless steel trim, including the rocker panel moldings has been polished, and every piece of chrome, including the door handles, chrome exhaust tips, hood scoop bezels, tail light bezels, driver’s remote mirror, and bumpers have been expertly replated. The original grill, headlight bezels and rear tail panel have been professionally re-anodized and restored to perfection. These parts alone are more than $3,500 to have properly restored! The Daytona style gas cap has been expertly restored. The hood letters spelling out P L Y M O U T H have been restored and repainted as well. All of the glass in this GTX is the original, date coded glass and is in great condition. All cat whiskers are brand new. All of the seals, body gaskets and weatherstripping were replaced during the restoration process. 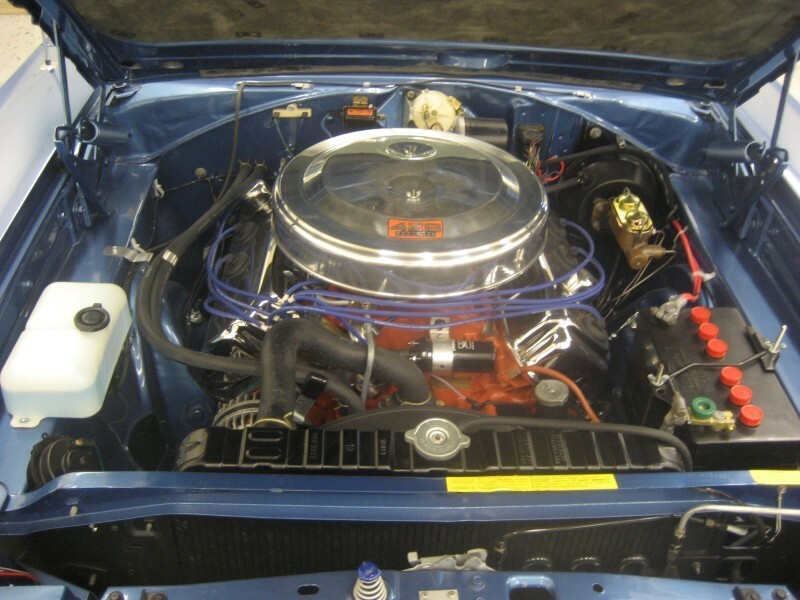 The engine compartment in this GTX is superbly detailed with correct, date coded 1967 components. Correct clips, correct fasteners and correct finishes abound. Present is a brand spanking new (2007) Mopar Performance 426 hemi engine rated at 465 horsepower and 486 lb-ft of torque. Features include cross-bolted main bearing caps, cast iron cylinder heads, a .495″/480″ lift hydraulic camshaft (278 duration), forged pistons (9.0:1 compression ratio), a 4 barrel dual plane intake manifold, 3.75″ stroke forged camshaft and a double roller timing chain and sprockets. Stainless steel valves are 2.25″ intake and 1.94″ exhaust and include heavy duty single valve springs and umbrella valve seals. Chrome valve covers, a chrome front cover and the big Classic Haulage air cleaner dress this brand new Hemi up nicely! Present is a brand new Turbostart Group 27 maintenance free battery with a correct hold down, connected up with new positive and negative hemi battery cables. Also installed was a new washer bottle and Mopar washer pump. 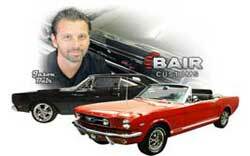 All hoses are correct Mopar replacement hoses, with correct clips. 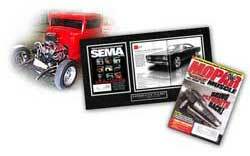 Keeping everything cool is a brand new reproduction 26″ date coded hemi radiator, from Glen-Ray. The exhaust manifolds are correct pieces from Mancini Racing. A newly rebuilt power brake booster and master cylinder is on the firewall next to the restored wiper motor. 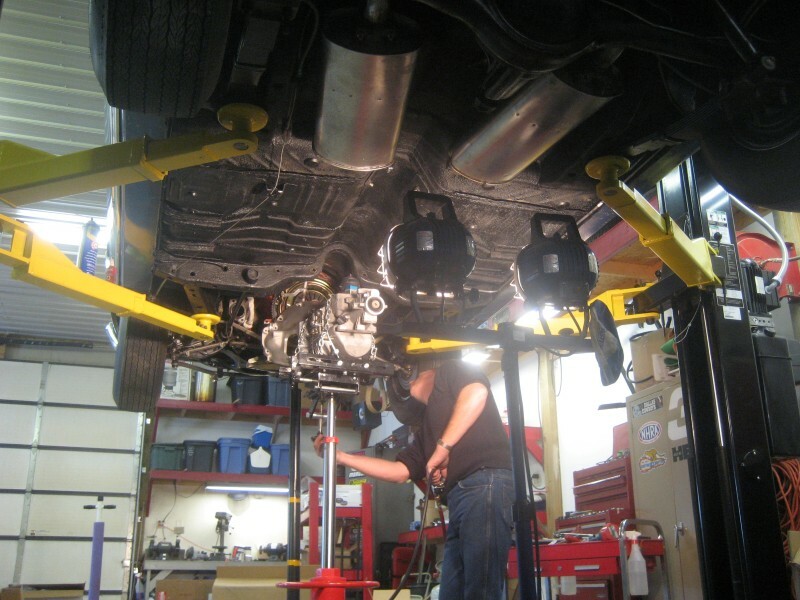 Underneath, a complete Accurate Exhaust Products system has been installed, including correct hangers, mufflers, and chrome tips. The original A727 Torqueflite 3 speed automatic transmission is freshly rebuilt as is the original 3.23 Sure Grip 8 3/4 axle is out back. A new fuel sending unit was installed in the restored original gas tank, while brand new and correct stainless steel brake and fuel lines run fore and aft. The front end is completely rebuilt and new as is the power steering pump. The pearl white interior in this GTX is nothing short of spectacular with its restored dash pad, instrument cluster and wood wheel, new sill plates and new vinyl trim courtesy of Legendary Auto Interiors. Here’s some of the new stuff: The front and rear seat foams and seat covers, carpeting, door panels, package tray, trunk divider, brake pad and accelerator pedal. 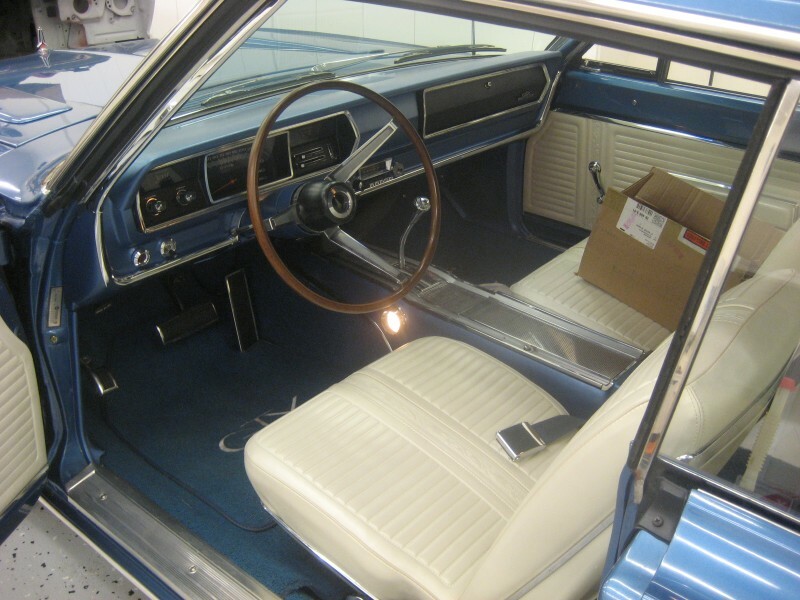 The light blue console is perfectly restored and the console chrome top shines. The rest of the chrome trim is nearly perfect from the door handles, bucket seat trim, window cranks, dash trim and console light bezels to the rear seat emblem. 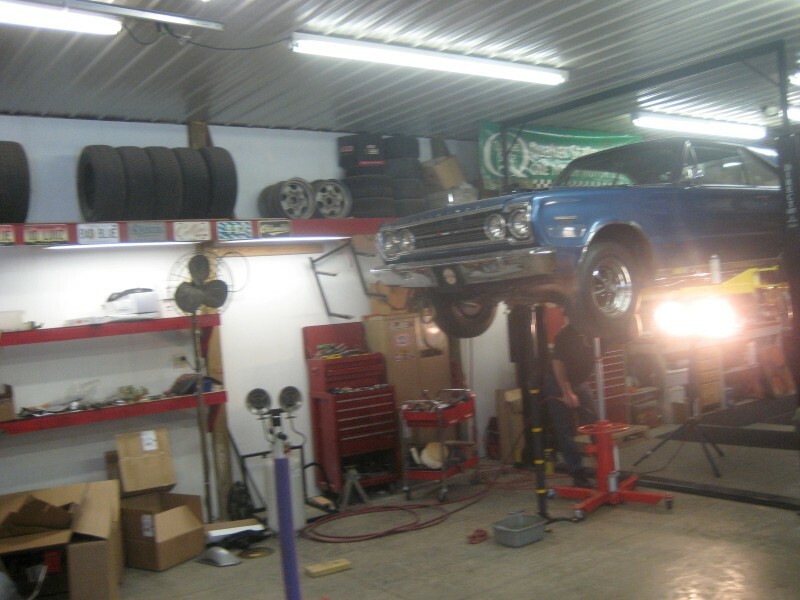 Mechanically, this car is brand new, with approximately 200 shake down miles since the rebuild was finished. In summary, this is a near flawless, beautifully restored car. It’s one of the nicest 1967 GTXs we’ve ever laid eyes on, and the quality of the restoration is absolutely top notch. This is the perfect car for someone who wants to get into a realistically valued Mopar with the added benefit of having a nasty 426 Hemi engine that you can get on without worry. 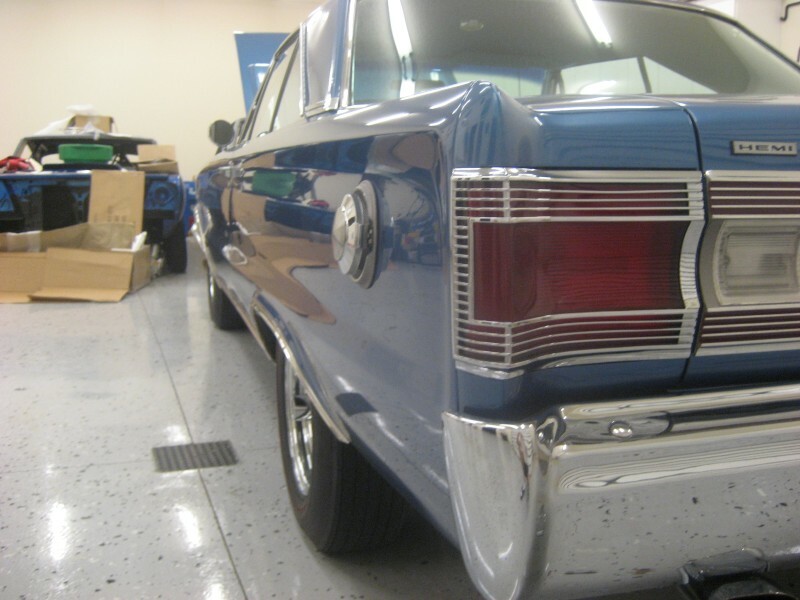 For an additional $5,500.00, we can provide the buyer of this car with a correct, rebuilt & restored date coded 440HP engine to have on hand with this car, increasing its value even more. This GTX is an incredible value and will bring its lucky new owner years of enjoyment!